The MGC multi-gas IR detector from Gas Clip Technologies is one of our most advanced confined space monitors. It features a strong internal sampling pump and extended battery life that can provide a full work week of detection on a single charge. The MGC-IR-PUMP uses low-power photometric (IR) technology to detect combustible gases (LEL) which allows the monitor to have incredibly long battery life. Another advantage of the Gas Clip IR detector is that it's immune to silicon or H2S poisoning from over-saturation. 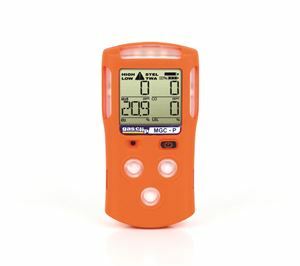 This is an excellent confined space multi-gas monitor.